There are hundreds of creative Christmas activities for kids out there on the web, but how many of them are actually designed to help your child as well as having fun? 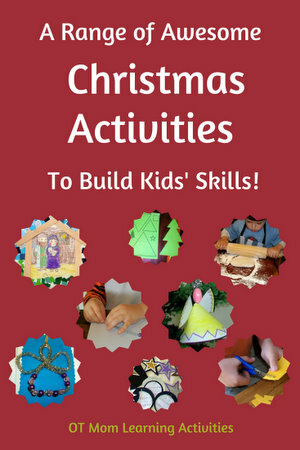 This page gives you ideas for fun Christmas activities that can also help build your child's skills. 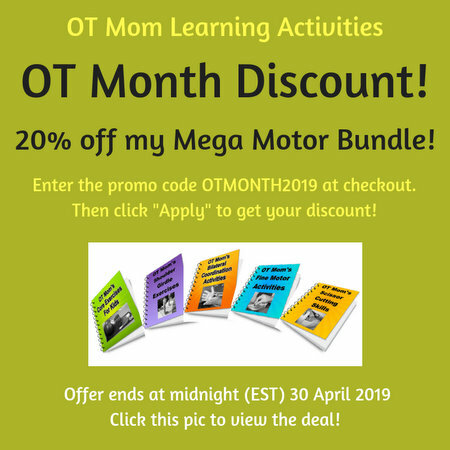 I've rounded up my own activities as well as creative ideas from other therapy sites! Kids are often motivated to do crafts that end in a nice decoration or gift, so combine that motivation with some focused activities and build their skills. Therapists have come up with so many good Christmas activities for kids, I had to create a whole new page to contain them all! 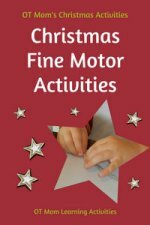 So head over to my Fine Motor Christmas Activities page to be inspired and equipped! You will find lots of ideas for working on cutting skills, hand strength and finger skills! Or try out my Christmas Angel Craft that uses pipe cleaners and pony beads! My new Christmas Scissor Skills E-book contains a range of scissor cutting activities from easy to more challenging - check it out! 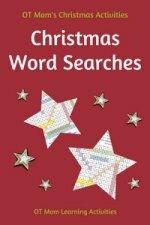 Try some of my Christmas Word Searches to boost figure-ground perception skills - this is particularly suitable for older kids. Brainy Maze has a whole bunch of Christmas Mazes - excellent for figure ground and visual discrimination skills. For those in the cold northern hemisphere at Christmas time, you often need to find ways to burn off your kids' energy indoors! 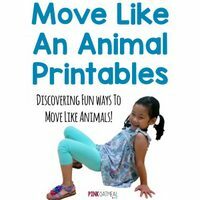 Have your kids move like animals up and down the hallway or around the table. Leopard Crawls and Crab Walks are particularly good for the core and shoulder muscles! 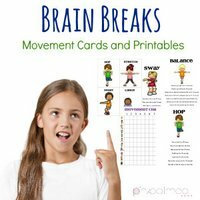 Marching is also a great way to warm up on a cold day as well as working on bilateral coordination skills - have your kids march around the house or on the spot between classroom activities. Paper crafts are inexpensive activities which give your child lots of practice with cutting, tearing, tracing, pasting and folding paper. Great for working on fine motor, coordination and planning skills! 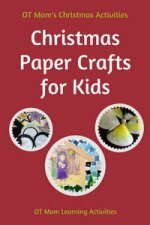 Head over and view my Christmas paper craft ideas with some free printable templates you can use! I have my own yummy cookie recipes on my page about the benefits of baking with kids, but there are lots of other awesome cookie recipes out there. Your Kids OT has a lovely reindeer gingerbread cookie recipe you can try! You can find some lovely Baking sets for kids on Amazon to help you get started! This is an affiliate link. I receive a small commission if you purchase something through this link. Have you tried making fruit kebabs with your kids? (Maybe you call them kebobs, depending on where you are in the world LOL!) With adult supervision, cutting fruit into chunks (with a safe knife) and then skewering them onto a kebab stick is good for eye hand coordination. Supervise your child at all times and make sure the kebab sticks are not sharp enough to hurt them. Bananas, strawberries, melons and grapes are easy fruits to get onto a skewer, although bananas need to be eaten almost immediately. A great festive party food to serve with yogurt for dipping. Thank you for visiting my site! I hope you were as inspired by these Christmas activities for kids as I am! Here are links to the other Christmas pages on my site - have fun browsing them all! If you are looking for a daily advent lesson and simple Christmas craft activity you can do with your preschooler, then I really recommend Truth in the Tinsel. My kids have thoroughly enjoyed this advent e-book! This is an affiliate link to an advent product I have used and love. If you purchase through this link, I may receive a small commission. You are, however, under no obligation to purchase anything!